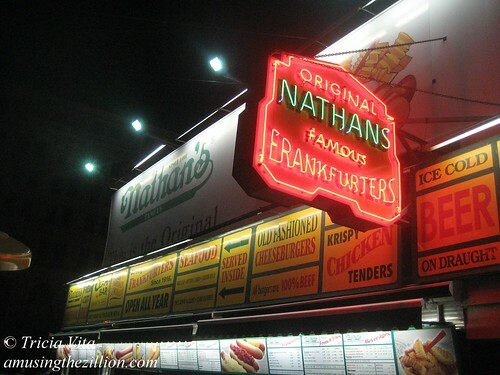 Nathan’s Famous has been in business in Coney Island since 1916, when Nathan and Ida Handwerker made a success out of selling a frankfurter in a bun for a nickel. 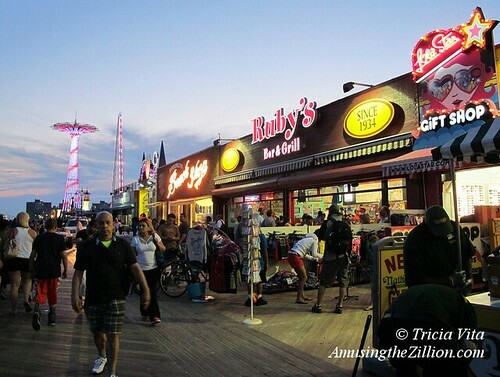 This season, the world-renowned eatery will have its first-ever brick-and-mortar gift shop thanks to a licensing agreement with Maya Haddad and her father Haim, the entrepreneurial co-owners of Coney Island Beach Shop and the soon-to-debut Brooklyn Beach Shop. 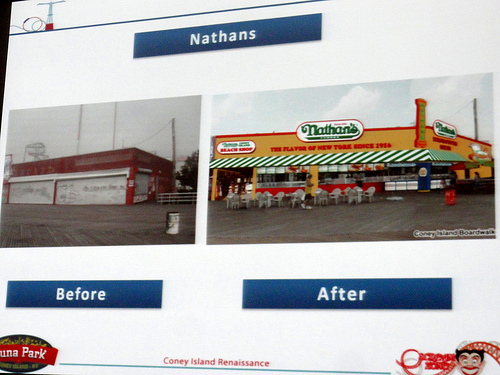 Set to open on March 31 April 5, Nathan’s Coney Island Gift Shop is a separate 500-square-foot space inside Nathan’s newly relocated Boardwalk outpost currently under construction at West 12th Street. “We’re manufacturing our own apparel,” Maya told ATZ. “We have 18 different graphic designs printed on T-shirts, sweatshirts and baseball caps. There’s also custom socks that make your feet look like hot dogs!” The hang tags are even shaped like one of Nathan’s Famous neon signs. “The cool thing is we made it all private label,” says Maya, a graduate of Baruch College with a degree in business who left her job as a buyer at Macy’s to help grow her family’s business. 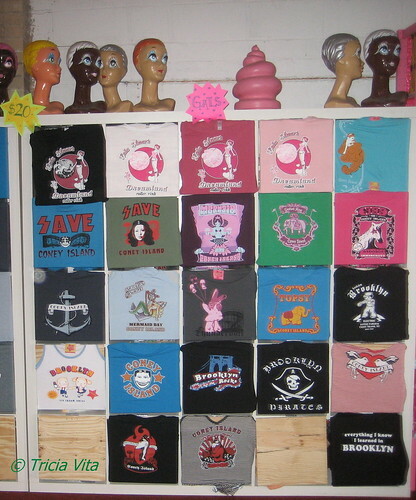 Haim Haddad has owned his own store in Coney Island since 1996, operating Mermaid Horizons at Mermaid and Stillwell Avenues until the construction of Stillwell Terminal disrupted foot traffic and put him out of business. 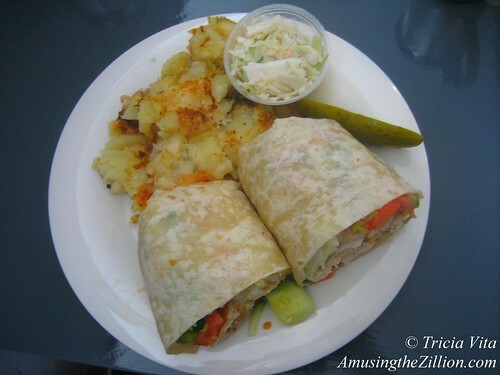 In 2002, he opened Coney Island Beach Shop on Stillwell Avenue behind Nathan’s. 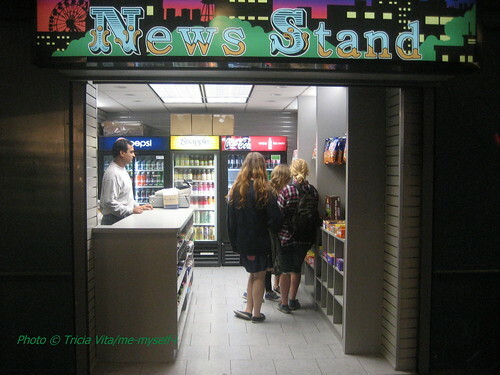 Last year, the Haddads opened the second Coney Island Beach Shop inside Stillwell Terminal. A large Boardwalk store called Brooklyn Beach Shop is slated to open this season next to Scream Zone’s entrance. 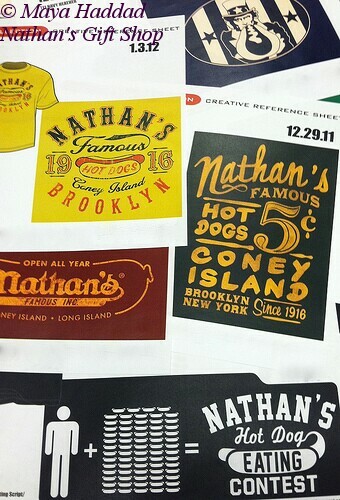 Nathan’s already has an online store selling apparel and merchandise like tote bags and golf balls printed with the Nathan’s Famous logo. Some of these items will be available in the brick-and-mortar shop. At the same time, the items offered for sale in the Boardwalk store will be sold online. “We met with the president of Nathan’s and the marketing manager to utilize resources like old photos they’ve collected over the years,” says Maya. “One of them is being used on a T-shirt. The others are for postcards and magnets.” The souvenir items, which are currently being manufactured in the U.S., will take longer to arrive in the shop. The gift shop interior is painted “American Cheese” yellow, a color that’s two shades lighter than Nathan’s iconic yellow, says Maya. “We’re putting up a flat screen TV that’s going to have images of Nathan’s and Coney Island.” She’s also looking forward to displaying a prized souvenir T-shirt that was autographed by the championship eaters in last year’s hot dog eating contest. Says Maya, “I can’t wait till the Fourth of July!” After the grand opening, Nathan’s Famous Coney Island Gift Shop will be open daily. If you’ve ever seen Abbott & Costello’s Bagel Street routine about the Susquehanna Hat Company, you’ll do a double take when you pass by Surf Avenue and Jones Walk in Coney Island. The Jones Walk sign now says Bagel Street and The Susquehanna Hat Company–“Coney Island’s Greatest Hat Supplier”–occupies Coney Island’s oldest building, Thor Equities’ long-vacant Grashorn Building. The signage on the shop makes it look like it’s been there forever. 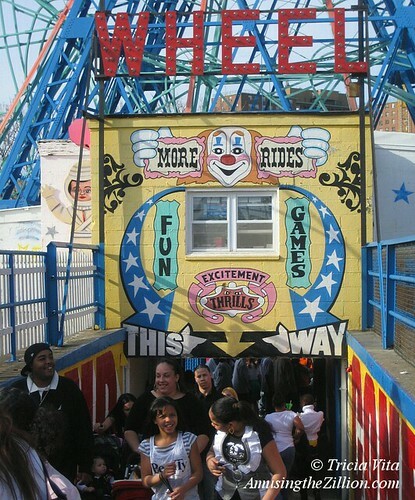 But it’s a set for the HBO series “Bored to Death,” which is filming in Coney Island this week. 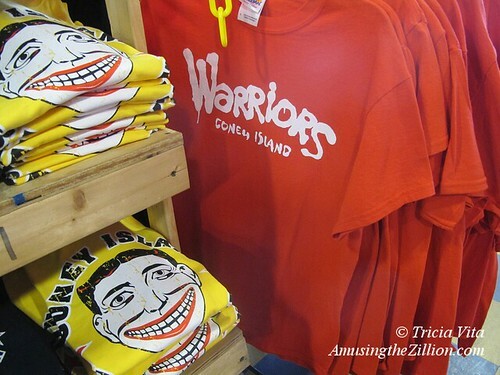 If the T-shirts and souvenirs in the window and inside the store look familiar, that’s because the props manager bought everything locally at Coney Island Beach Shop located behind Nathan’s. If you see anything you like at the Susquehanna Hat Company, you can buy it at the Beach Shop, which still has plenty of merchandise in their store as well as online. 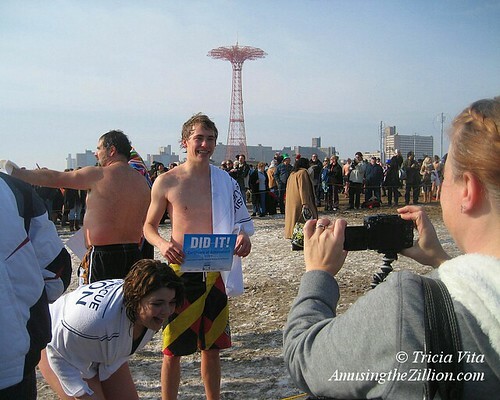 The last time ATZ wrote about Coney Island’s oldest building, it had been rescued by Will Smith and “Men in Black 3,” who were filming in Coney Island in May. 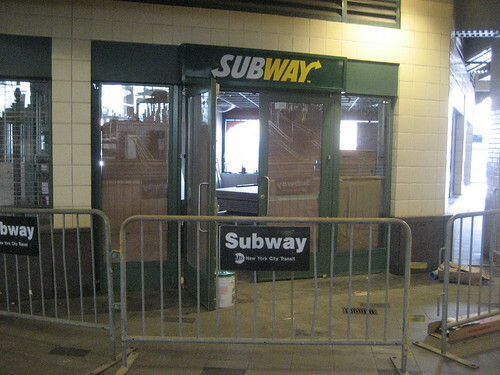 The MIB3 production crew fixed up the gutted interior of the building located at Surf and Jones Walk to use as their location headquarters. Now the spiffed up building and its interior are actually part of the story. “Bored to Death” is an HBO comedy series featuring a Brooklyn writer who moonlights as a private detective. In this episode he is sent to investigate something funny that’s going on at the Susquehanna Hat Company. More than that we cannot say! Though it will be interesting to see how the script plays off the Abbott & Costello skit from “In Society” (1944). Will it solve the mystery of why everybody they meet flies into a rage upon hearing the name of the Susquehanna Hat Company? Thanks very much to Charles Denson of the Coney Island History Project, who has been photographing the Grashorn building for decades, and we hope many more decades, for sending us these on location photos. 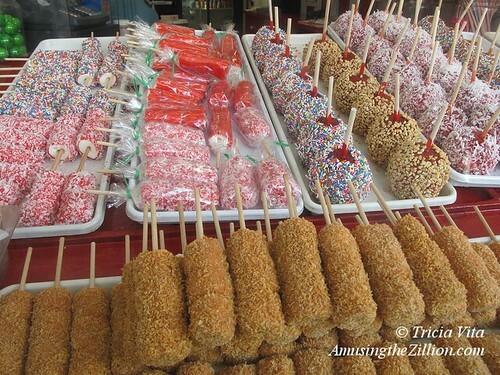 Just in time for the expected Mermaid Parade, Friday Night Fireworks and Coney Island Boom A Ring crowds, a gift shop and a newsstand have opened in the Stillwell Terminal. The new shops join Dunkin’ Donuts/Baskin Robbins and Bank of America in the reconstructed subway station, which opened in 2005. The gift shop proprietors also operate a souvenir stand on Stillwell Avenue and have a storeroom full of stock for the upcoming weekend. Yet to open in the station are a Subway sandwich shop, the Lola Staar Boutique, and a branch of the Coney Island Beach Shop, whose main store is behind Nathan’s. The Coney Island Rumor Mill is sayin’ construction delays are due to leakage in the terminal when it rains as well as the fact that some tenants had to revise their architectural plans or change architects to comply with the MTA’s stringent review process. The Brooklyn Paper reported last week that “MTA bureaucrats had trapped the Lola Staar boutique in their own black hole” for six months. An MTA spokesman told the paper that the department overseeing the plans was backlogged. On the day the article was published, the transit authority finally reviewed the architect’s plans and asked for changes. Stay tuned! Lola Staar owner Dianna Carlin had hoped to open in the Stillwell Terminal this summer after being evicted from her Boardwalk store by Thor Equities. 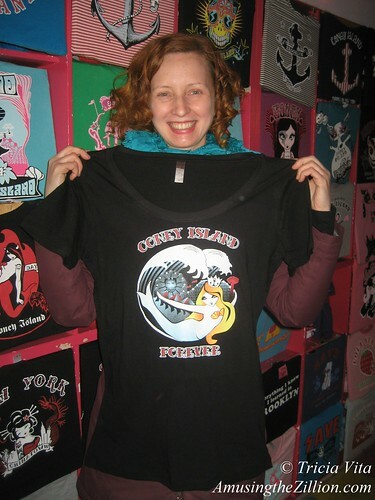 Instead Carlin has set up her boutique in the Dreamland Roller Rink on the Boardwalk at 21st Street. This weekend a selection of “vintage, rare Lola Staar tees from the glittering Boardwalk vaults” will be on sale for only $10. The Lola Staar Shop is open to the public on Fridays from 7-11 pm, Saturdays from 1 pm to 12 am, and Sundays from 1-7 pm. 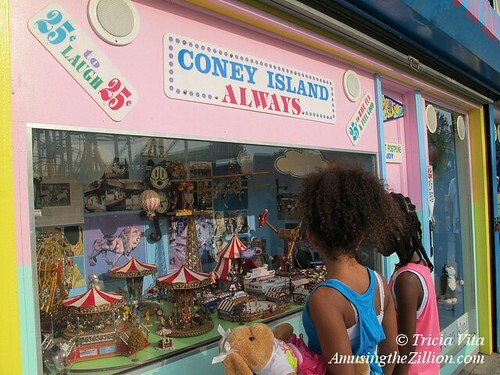 Visit the Coney Island Fun Guide for links to Coney Island’s shops and restaurants, including some that are open year round.